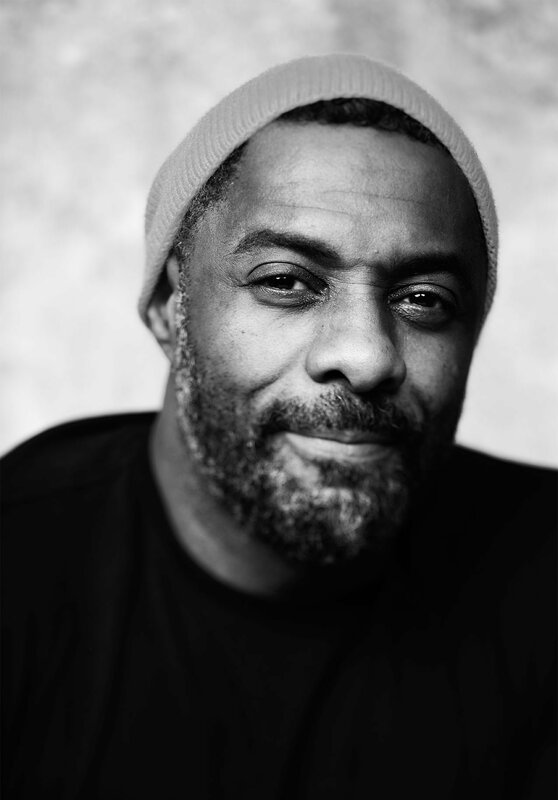 He’s been tipped as the next 007, was recently voted the sexiest man alive, has just got engaged to his model girlfriend and is back on our screens as Luther, can life get any better for man of the moment Idris Elba? Idris Elba nears his half century, he admits he’s having somewhat of a mid-life crisis. Not that you’re likely to see him sporting ridiculous clothes, posing in a flashy sports car or burning about on a Harley Davidson. Instead, Elba’s midlife crisis seems to come in the form of pushing himself to the limits and throwing himself into a whole host of new experiences. This year he directed his first feature film, Yardie, an adaptation of a notorious novel about Jamaican gangsters in London, he broke Sir Malcolm Campbell’s 88-year-old land speed record for the ‘Flying Mile’, topping 180mph in a Bentley Continental and even made his professional kickboxing debut. He’s also designed clothes for Superdry and he’s just set up his own record label. He continues to DJ around the world and he even turned up to spin the tunes at a certain Royal wedding. Talking about his insatiable thirst for life, Elba admits: “Yeah, there comes a time when you get to 40, 45, where you’re like, ‘Oh s***, I’m losing my youth, I’m facing 50. “You’re on this cusp and it’s not like you can make new experiences so much, because you’ve probably covered it all. So, part of this journey of digging deeper into my fears is the idea that I’m getting older, we all die, and we’ve got plenty of time to sit still. “I’ve got my flaws, I’m human, I’ve made mistakes and I will make mistakes. But at the same time, I feel like, ‘Hey man, I could do a lot worse’. Since his big break as drug trafficker Stringer Bell in HBO’s gamechanger series The Wire, pretty much everything he has touched has turned to gold. There was his portrayal of Nelson Mandela in Long Walk to Freedom, his scene stealing roles in everything from American Gangster to Prometheus and then there’s Luther in which he even makes the wearing of a tweed overcoat look like an art form. As an early Christmas present, the detective series is about to return for a fifth series and as soon as the opening credits roll, the rumours that DI John Luther is about to step into Daniel Craig’s shoes are sure to return. Throw in the fact he was also named in the Time 100 list of the Most Influential People in the World and it’s been a meteoric rise for the only son of African immigrants who seemed destined to follow in his father’s footsteps of welding side panels on to Fiestas at the Ford factory in Dagenham. For years it looked like that was where his life was heading but following a few roles as an extra on Crimewatch and a subsidiary from The Prince’s Trust, Elba knew acting was the path he wanted to follow. film industry, Elba packed his bags and went to LA looking for acting work. For a long time though it never happened and forced into working as a bouncer and even selling bags of weed to make ends meet, he wondered whether he would ever make it. It was to be the turning point and the moment his life finally changed for the better. The screen time afforded to Stringer meant he caught the attention of casting directors and the parts he was offered suddenly got a whole lot more diverse. He has since played everything from a top criminal lawyer to Norse superhero and an alcoholic warrior monk and this summer he released his first film as director. It is a life he has worked hard to achieve and something he will never take for granted. Yardie was based on Victor Headley’s cult 1992 novel about a young Jamaican’s rise from the streets of London to the top of the drug-dealing underworld and it’s unlikely to be Elba’s last stint behind the camera. Next year, Elba, will add another notch to his already impressive CV when he premieres his new show Tree at the Manchester International Festival. The collaboration with Kwame Kwei-Armah, the new artistic director of London’s Young Vic, focuses on South Africa post-Mandela and features Elba’s music as the soundtrack. Elba has another reason to be cheerful: in March, he became engaged to Sabrina Dhowre, a model and Miss Vancouver 2014, whom he met while shooting a film in Canada. It will be his third marriage – he has two children from the previous two – and came as something of a surprise, mainly because Elba had been outspoken, quite recently, about not wanting to get hitched again.